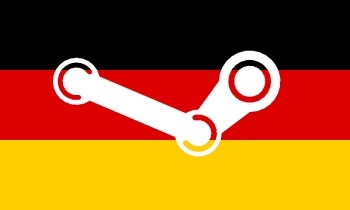 A German court has dismissed the lawsuit filed against Valve by consumer rights group VZBV over its prohibition of the sale or transfer of Steam accounts and games. Last summer, German consumer rights group Verbraucherzentrale Bundesverband [VZBV] renewed its campaign against the Steam terms of service, which disallows the sale or transfer of Steam accounts or games. It was the second time the group had taken a run at Valve and while it acknowledged at the time that it didn't expect the TOS to be changed voluntarily, it did say that it believed the odds of winning in court were "very good." Alas, it was not to be. The Regional Court of Berlin has dismissed the case and while the specific reasons for the dismissal have not yet been published, Osborne Clarke reports that, based on comments made during oral arguments, the judges did not agree that the "doctrine of exhaustion," which limits a copyright or trademark holder's rights to control individual copies of work once they're sold - similar to the first-sale doctrine in North America - applies to intangible copies of video games. Because of that, Valve is within its rights to restrict the resale of Steam games and accounts. The ruling initially appears to run counter to a prior ruling by the Court of Justice of the European Union, which declared in 2012 that the doctrine of exhaustion does in fact apply to software. But the Court of Justice also ruled, in a more recent case, that the audiovisual components of video games means they are "not only computer software," and are thus covered by the European Community's general copyright directive rather than the more specific laws regarding computer software. There may be room for another appeal, especially since another case dealing specifically with the copyright status of video games is currently before EU judges, but for now (and, very likely, the future) the sale and transfer of Steam accounts and games remains verboten. Score one for Valve.